Often abbreviated as the SMS stadium, it was built during the reign of Maharaja Sawai Man Singh II and is known to have hosted both national and international cricket matches. It serves as the headquarters for the Rajasthan Cricket Academy and also contains several facilities for other sports like cycling, hockey, boxing, football, swimming, basketball and tennis etc. The best time to visit is during any major cricket match, which remains a much celebrated sporting event in India. Known to be the largest traffic roundabout in Asia, Jawahar Circle is a famous park in Jaipur. The diameter of the circular park is 452 meters with a circumference of almost 1500 meters. The Entrance of the park although a recent construction, is built in a typical ornamental Rajput style and resembles the architecture of the pink city. The Park is maintained by the Jaipur development authority (JDA) and has several walkways, rose and flower gardens with several benches and a central fountain, where a light and sound show is organised every evening. Currently under development, the park will soon be equipped with a food court, adventure zone, entertainment zone and a children’s area. Inaugurated in 2010, Jal Dhara is a kilometer long picnic and recreation spot for the locals and tourists. The term ‘Jal Dhara’ translates to a ‘stream of water’ and is known for its fountains and a manmade water stream that stretches to almost half a kilometer. It is decorated with paths, bridges and walkways along with manmade waterfalls and sculptures of wild animals. The park is usually closed during the daytime and is only open for visitors during the evenings to prevent wastage of water. Spread in an area of 108 acres, the Smriti Kulish Van is situated near the JLN marg amidst dense forested hillocks. It is a great place for a walk in the dense vegetation without any disturbance. This places turns into a great bird watching spot during the winters and stays frequented by several photography and nature enthusiasts. Established by the Forest Department, the Ashok Vihar Deer Park is located in C-Scheme, Jaipur. The park covers an area of approximately 5 acres and has a healthy population of around 80 Chinkara deer. One can visit the park during the evenings for a leisurely stroll and can also enjoy a nice cup of coffee at the nearby located Café Coffee Day. The deer are said to be friendly to tourists and will come if you offer food. Known as the oldest church in Jaipur, St. Andrews Church was established by Scottish Missionaries in 1912. The missionaries were donated a piece of land by Sawai Madho Singh, the Maharaja of Jaipur near the Chandpol Gate. The church is known for its marvelous architecture and an old fashioned clock tower, which was also a gift from Maharaja Sawai Madho Singh and was built in Scotland. The design of the building resembles a Christian cross and was envisioned by Col. Sir Swinton Jacob. Located in the medieval town of Amer, Jagat Shiromani Temple was constructed in the early 17th century by the orders of Maharani Kankawati. 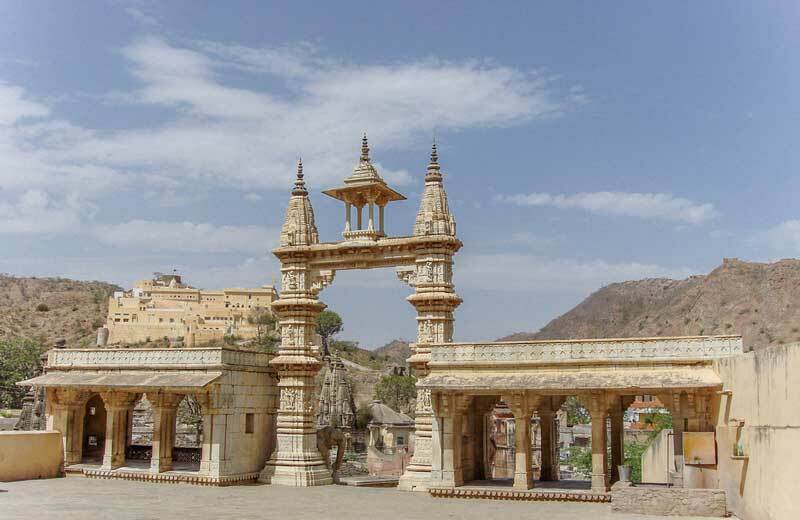 The temple’s architecture is a brilliant example of Rajput style design and all the walls and pillars are covered with stone carved figures of deities and animals. The temple has two idols, one of Lord Vishnu and the second one is an idol of Lord Krishna. The Krishna idol is believed to be the same one that was worshipped by Mira Bai of Mewar. Located around 30 kilometres from Jaipur, Ramgarh Lake was an artificial lake built by the Maharajas of Jaipur as a source of Water Supply. The shape of the lake made it a perfect spot for Boating Races during the 1982 Asian Games and it also remained a picnic spot for the residents of Jaipur. The region surrounding the lake is also a wildlife sanctuary with thriving population of Nilgai, Chitals and Leopards. Sadly, the once majestic lake dried up in 2000 and there is little hope that it will be replenished. Nevertheless, one can still visit the old Jambwa Mata Temple and can explore the ruins of the old Ramgarh Fort. A Private Museum located opposite to the picturesque Jal Mahal; The Sanjay Sharma Sangrahalaya was built in the memory of Sanjay Sharma who died in the lake. 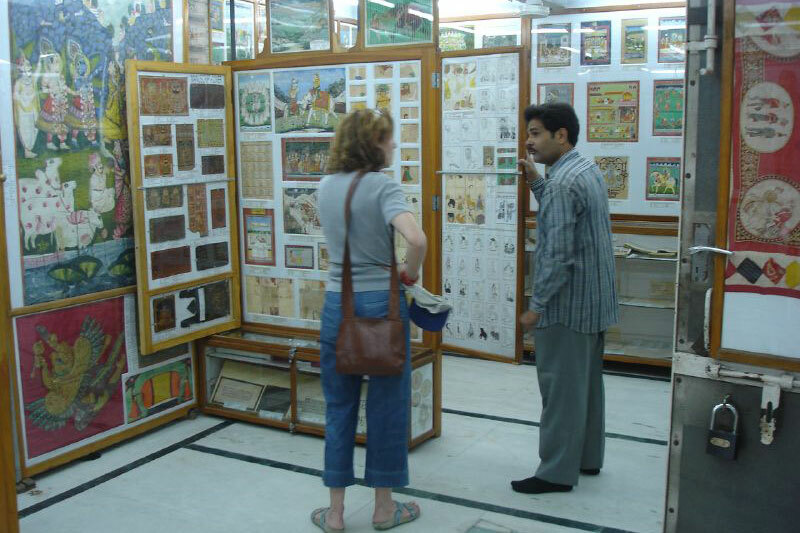 Despite the sad story, the museum has one of the best collections of ancient artifacts, medieval paintings, illustrated books about alchemy paper cut-outs from the 19th century and several games played by the Royal family. COPYRIGHT © 2015 - TOUR TO INDIA.